Innovation combined with nature. 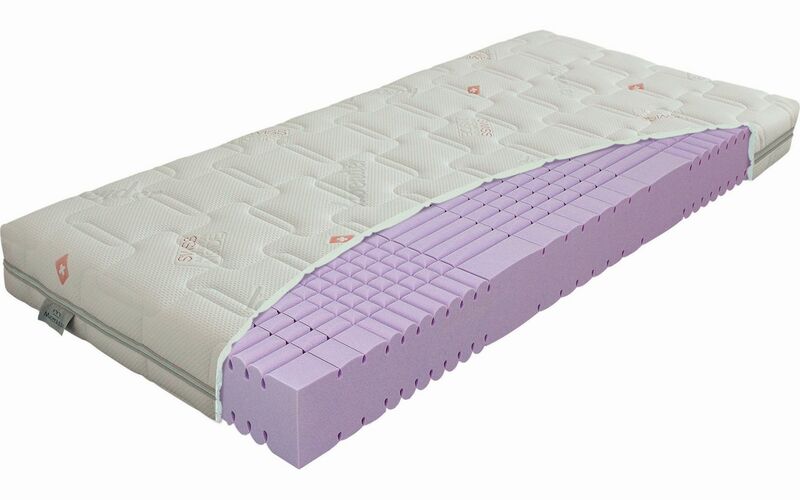 A higher, more comfortable mattress made of a single block of Swiss AventO2 foam, sectioned on the surface to ensure better aeration and zoning. The detachable Lavender cover, which can be washed at up to 60 °C, is enhanced by the calming effects of the extract of lavender in the AventO2 foam itself. This mattress can also be used on positionable bases.